A celebration of women! 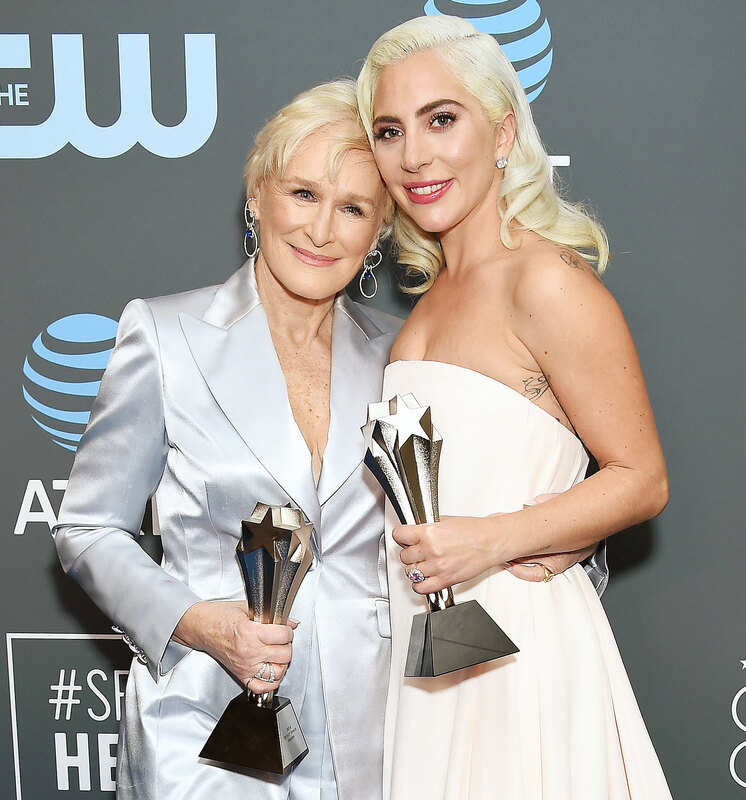 Glenn Close and Lady Gaga tied for Best Actress at the 2019 Critics’ Choice Awards on Sunday, January 13, and couldn’t be happier about it. Close, 71, who won for her role in The Wife, was the first to be announced and was “thrilled” that she tied with the A Star Is Born actress. “I was thinking that the world kind of pits us against each other in this profession, and I know from all the women in this category – and I think I can speak for all of the women in this room – we celebrate each other! We’re proud to be in this room together,” she said, before Gaga was announced. When the “I’ll Never Love Again” singer took the stage for the second time – she accepted the award for Best Song for “Shallow” earlier in the evening – she was completely shocked, with tears in her eyes. Gaga thanked her fiancé, Christian Carino, calling him “my love,” and then her costar and director, Bradley Cooper.